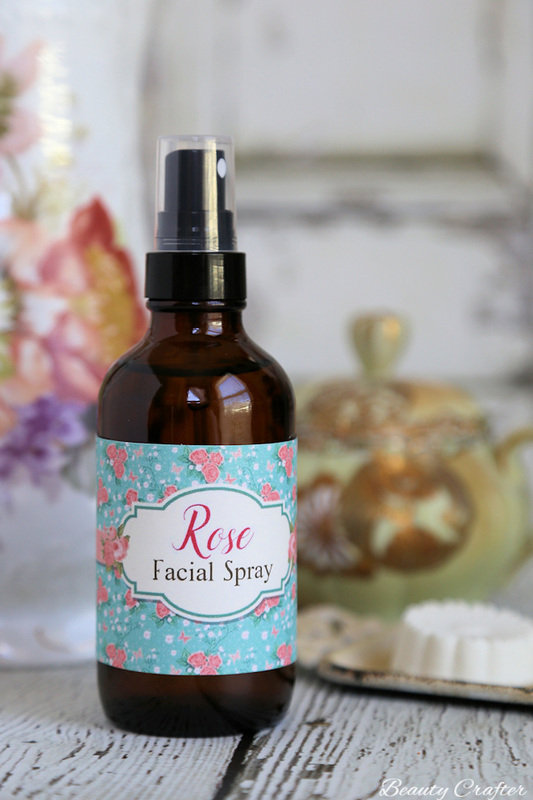 Rose Face Spray is an classic moisturizing facial toner that you can easily DIY. It smells heavenly too! I’ve even included free printable labels for you below. Rose has long been used to improve the complexion. Taking a moisturizing and healing bath in rosewater was popular from ancient times. Despite all the chemicals so popular in cosmetics today, rose is still a popular ingredient in face creams. 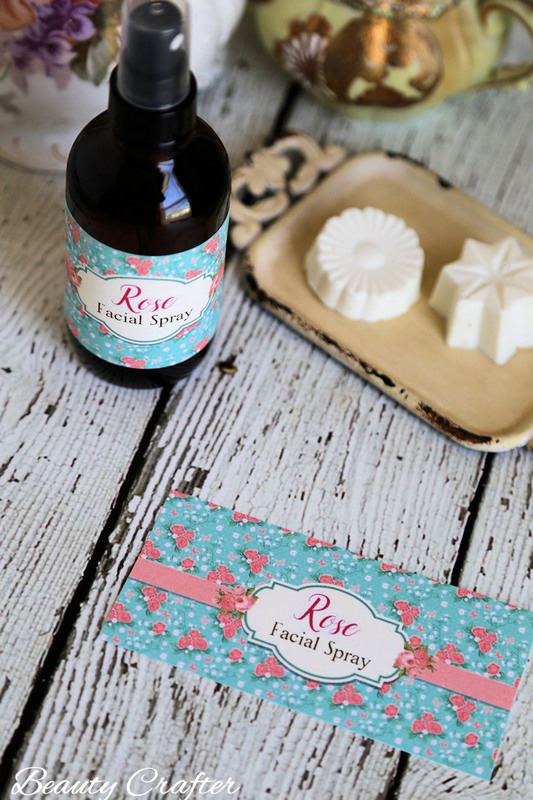 The lovely uplifting scent of roses, that comes along with it’s facial benefits, is of course a wonderful bonus. This is why rose is the essential component of the simple homemade face spray I am sharing with you today. Although this moisturizing face toner is very simple, comprising of just three ingredients, it boasts a lot of benefits for the skin. Each ingredient has been chosen to enhance the overall effectiveness of the spray. Two are derived from roses. All can be sourced organically. All the ingredients as well as the bottles can be purchased right off Amazon (affiliate links). Rose hydrosol (more commonly known as rosewater) is often used alone as a delicate toner and moisturizer. Among it’s benefits for the skin; it shrinks pores, soothes inflammation, has mild moisturizing and anti-bacterial properties. The pleasant scent is also a great mood enhancer. Rosehip oil is considered a “dry oil” which means it readily absorbs into the skin, without leaving a greasy residue. Of course, this is perfect for use in a face spray. The skin healing benefits attributed to rose hip oil are due to it’s high level of essential fatty acids. These fatty acids moisturize dry skin and help reduce wrinkles. Glycerin creates a beneficial barrier for the face, keeping skin lightly protected from the elements. It also soothes and softens skin. The ingredient will even help by drawing moisture to your skin on a humid day. As you will see this Rosewater and glycerine rosehip toner is a very simple beauty product to DIY. Here are some pretty Victorian style labels I’ve created for your spray bottles. Just print them on a light cardstock paper and glue onto bottles. I used 65# cardstock and all-purpose glue. 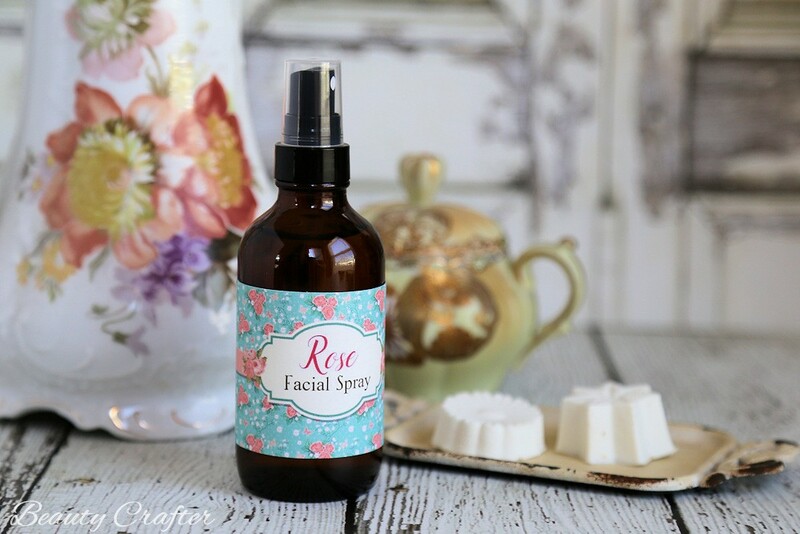 I like this face spray so much, I also shared the recipe on our sister site Mom Foodie. If you prefer this more modern styled label, just click the image below. 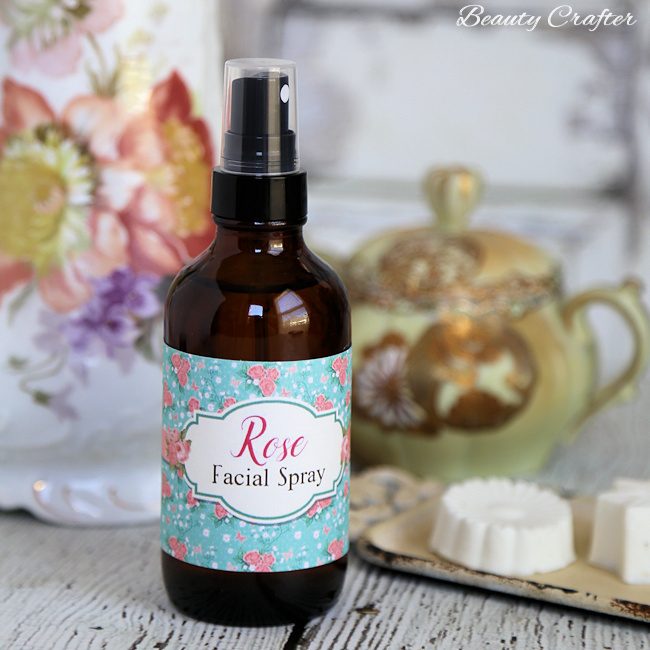 Enjoy this refreshing and uplifting face spray. It makes a great gift too! Of course, while you are on a rose kick why not make some Rose DIY Bath Bombs to go with the facial mist!